Welcome to the gulf coast of the sunshine state! Here in Marco Island, you will find a wonderful sense of community and the feel of a thriving small town. Looking for Marco Island homes for sale? Do you know where to start? Here in Marco Island we have many beautiful homes. We have homes that are beachfront, waterfront and inland. Come check out some of our local neighborhoods and see what fits your lifestyle. Reach out to us with any questions. We would be glad to assist you! Browse Marco Island real estate listings below or search by lifestyle or property type. Find your picture-perfect property with Harborview Realty. Marco Island is truly paradise in Southwest Florida. Completely surrounded by water, it’s difficult to find a home without an oceanview here. Potential buyers are eager to invest here for the lifestyle Marco Island provides. From year round golf and tennis to perfect conditions for snorkeling and diving, this barrier island leaves little to be desired. Whether you’re searching for an oceanfront condo or a home nestled in a welcoming community, you’ll love the selection of properties available on this island. The Marco Island homes for sale are gorgeous and affordable, to boot. In general, however, Marco Island homes and houses (as in single family homes) are less plentiful than the condos. Of course, a home is defined by you. You’ll notice above we tried to limit the search to just single family homes for sale in Marco Island, vs listing condos. You can see our Marco Island Condos for sale page here. Keep reading to learn more about Marco Island real estate or start your search by browsing homes for sale by lifestyle below. If you prefer, simply search for all Marco Island real estate listings. Feel free to contact us for more information about Marco Island homes for sale. Register with us to gain instant access to the newest Marco Island real estate listings! Be notified when a home that meets your search criteria comes on the market. Buyers searching for a luxurious condo, a move-up home, or their first property will love Marco Island homes for sale. This real estate market is as diverse as it is beautiful and it’s easy to see why homeowners love living here. From the luxury oceanfront condos to the homes with waterfront access, homes for sale on Marco Island almost always have a waterfront view. Inside these residences, you’ll find elegant and chic finishings. The marble floorings, spacious bedrooms, floor-to-ceiling windows and oversized balconies are only some of the reasons you’ll love living here. Additionally, you might appreciate the gourmet kitchens with state-of-the-art appliances and quartz countertops. And with the beach right outside your door, what else could you want? 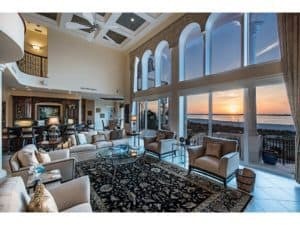 Search for Homes For Sale in Marco Island By "Lifestyle"
Contact Harborview Realty to learn more about Marco Island homes and condos for sale. Or if you prefer, simply call us at 239-560-2224.